John Mengucci, chief operating officer, CACI International Inc. In 2018, John Mengucci expanded his role as the COO role for CACI, charged with expanding the growth profile of the company. He has been the driving force behind the company’s market-based strategy and its growth into the products and solutions segments of the markets they serve. Having led the majority of the company’s over 12 acquisitions over the last five years, the focus is paying off with the company returning and continuing to deliver enhanced revenue and net income growth. 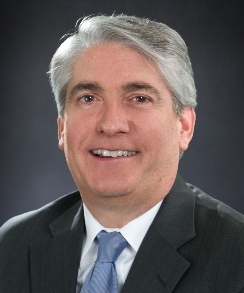 Before joining CACI in February 2012, Mengucci was president of Lockheed Martin’s Information Systems and Global Solutions – Civil Product Line and for six years prior to that assignment, he was president of LM IS&GS – Defense Product Line, where in both positions he led strategy, growth and execution for the businesses. A recognized leader, CACI under Mengucci’s direction has developed products and solutions that allow defense and intelligence customers to transform how they approach the convergence of signals intelligence, electronic warfare and cyber with a product called ARES. Mengucci was instrumental in the creation of CACI’s SkyTracker Technology Suite to detect and defeat rogue drones, which was named “Best-in-Class” among Industry Innovators at Washington Technology’s Government Innovation Awards. “As our customers continue to demand disruptive software definable solutions to address their needs, CACI will continue to invest and grow its differentiated solutions to address these missions. . . .a business focus that rewards both our customers and our shareholders,” Mengucci said. Next Article Recap: What Were the Top 5 Things on Execs’ Minds in 2018?